is an American metalcore band from Lansing, Michigan, formed in 2003. 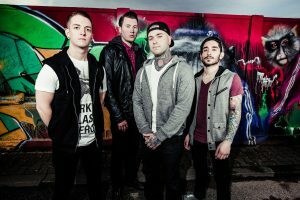 FTFD (acronym) originally signed to Rise Records but produced one album under Artery Recordings in 2012. After the departure of the vocalist, Dylan Richter and the return of vocalist Chad Ruhlig in 2013 the band started producing music under Rise Records once again.